Schaeffler- one of the leading automotive bearing manufacturer in Germany, has entered into hybrid automotive segment. With the recently invented bio hybrid concept, the company intends to solve the problems of traffic congestion and resulting emission issues. Schaeffler bio hybrid solutions are largely focused on personal transportation. 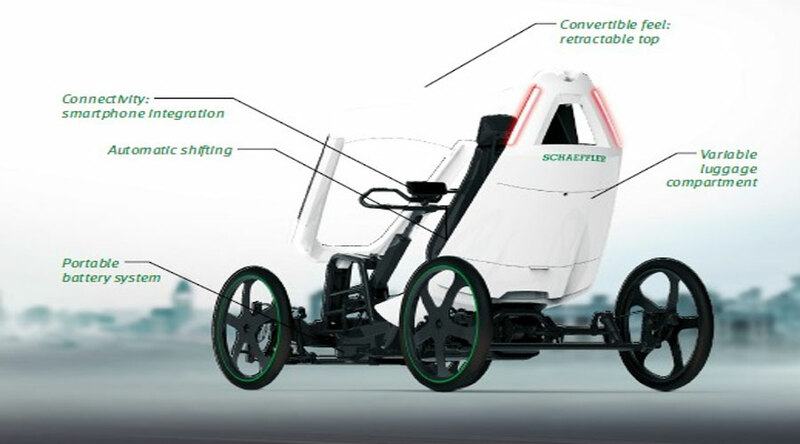 While designing these products, Schaeffler has drawn inspiration from a bicycle and has converted them into a tricycle or a four wheeler. These tricycles are dual powered which means it will either run on battery or one can pedal it. So, you don't have to worry even if you forget to charge the battery properly! A traditional bicycle faces two major disadvantages. First, it is not weather proof and second, it has very small storage place. The Schaeffler bio hybrid takes care of both these points. So, this modern cycle is more safe and can even go out in rain! In addition, you don't require a licence to drive this hybrid. It can even run on a cycle track. However, the its maximum speed is 25 km/hr. Schaeffler bio hybrid is most suitable for small daily commutes from your home to office especially in countries like Germany where high speed wide cycle tracks are available. Bio hybrid comes with an electrically assisted drive system which is capable of achieving speed of 25km/h. It also has an automatic gear shift system along with reverse gear for easy manoeuvre. Batterypack is compact and portable. The four wheeled version has two seats provided. Retractable roof is quite amazing and functional as the driver can enjoy fresh air and scenic beauty around! When it comes to smartphone connectivity, this modern cycle doesn't lag behind. The bio hybrid has an integrated smartphone connection which can connect the driver to a large number of apps on the go. It is also easy to find information about weather, maps and traffic situation. 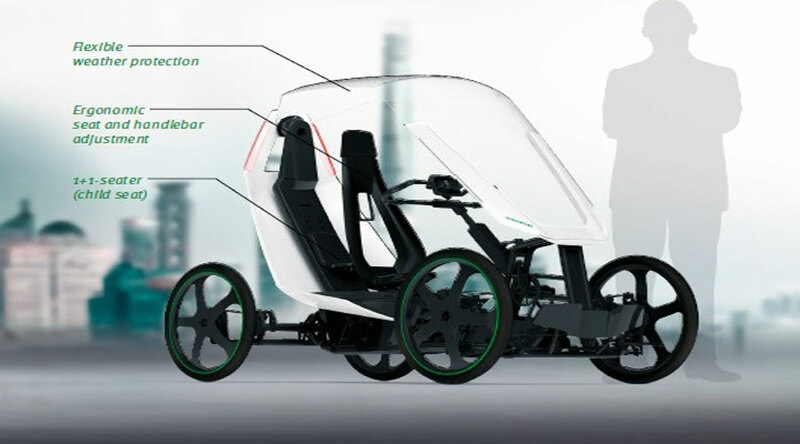 Undoubtedly, Schaeffler bio hybrid is a pioneer of some of the most futuristic and sustainable personal transports of next generation! !